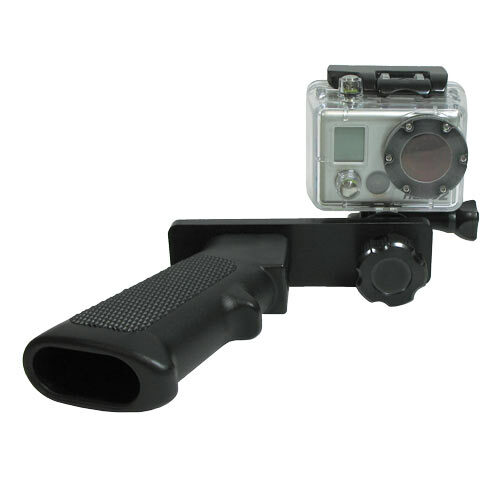 Utilizing the same AR15 assault weapons grip and geometric design as the "MAKO Tin Man AR15 Speargun Handle", The MAKO AR15 GoPro Handle is the best GoPro single handle ever designed. And, just like our 2 handle tray, it is totally modular and upgradeable to include light holders and lights and it can even serve as a tripod mount for hands free use. No other single handle GoPro Camera can do what this thing can do. 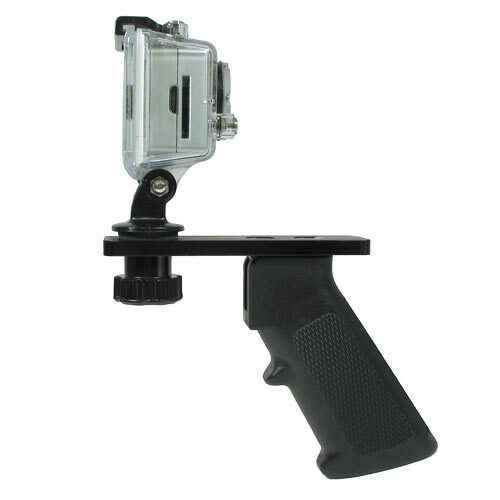 This incredibly versatile handle stabilizes the camera while dramatically increasing your accuracy while aiming, thus taking the guesswork out of filming. No more missed shots or out of frame videos. 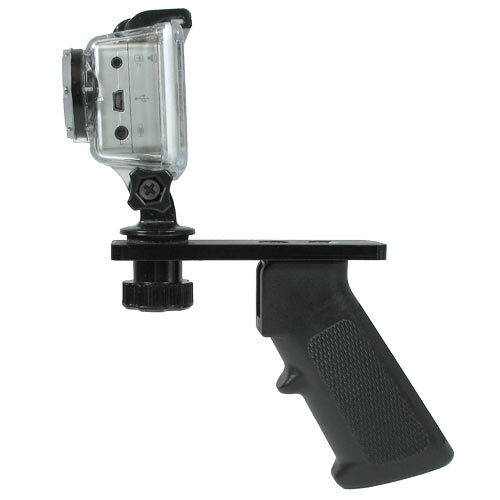 The versatility of this AR15 handle, provided by the ¼ -20 knob screw also allows you to pivot the camera 360 degrees so you can also video yourself by easily rotating the camera 180 degrees. This can all be done while maintaining the superior ergonomic position of your hand which the AR15 assault weapons grips have become known for. 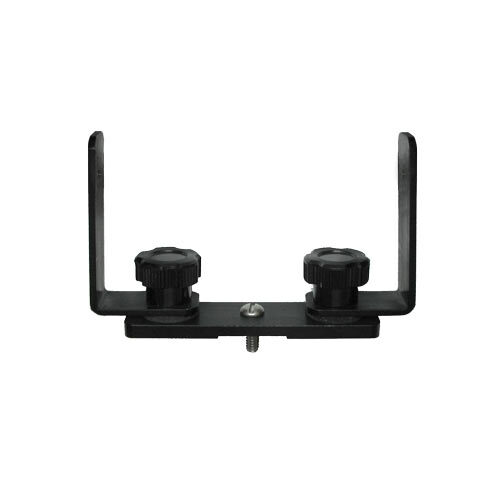 The ¼-20 knob screw also allows for easy on and easy off when the handle is not used. 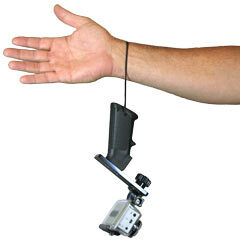 Here is an example of the BASIC UNIT which includes the AR15 grip, Aluminum base plate, and wrist strap. 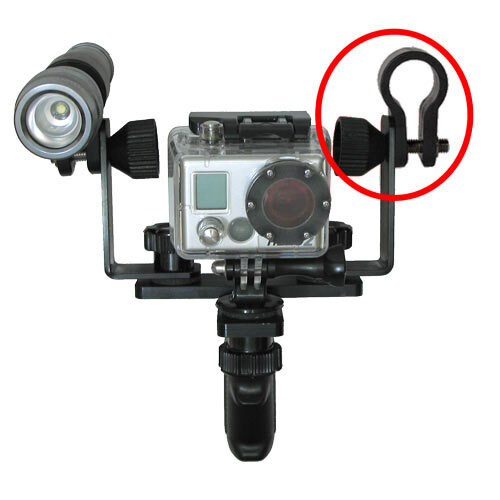 Notice the optional GoPro tripod mount is mounted to the base plate using a ¼-20 knob screw for easy assembly and removal when not in use. 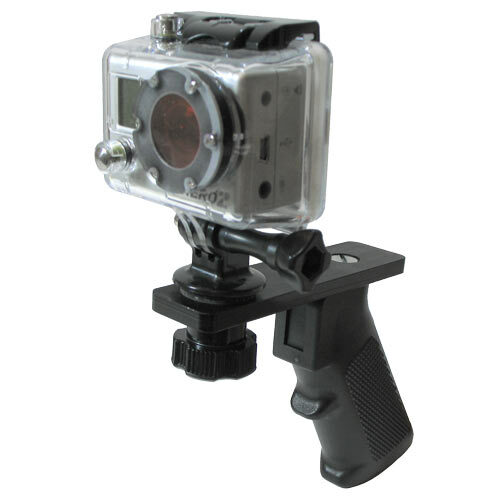 NOTE: The GoPro tripod mount that attaches the GoPro camera to the base plate is not included in the Basic Unit because most people already have it for other applications. If you do not have one, you can select it in the drop down menu above. If you want 2, please select 2 in the drop down menu. 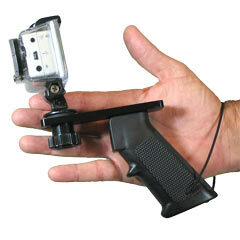 This is a pistol grip handle for mounting a GoPro with or without a waterproof dive housing. It has performed as advertised; which is very good! 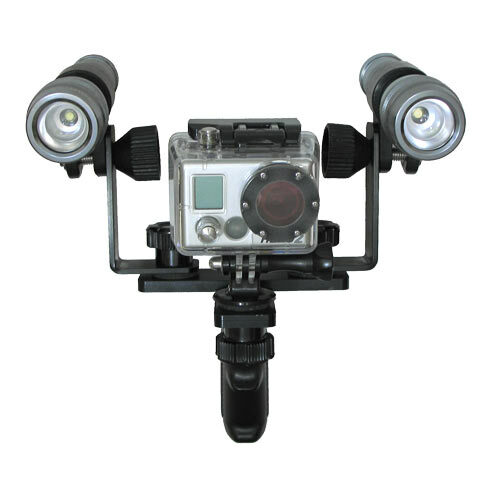 Just got to use my new mount and lights on a trip to Belize. It worked great. The lights have a very broad field and put out plenty of light! 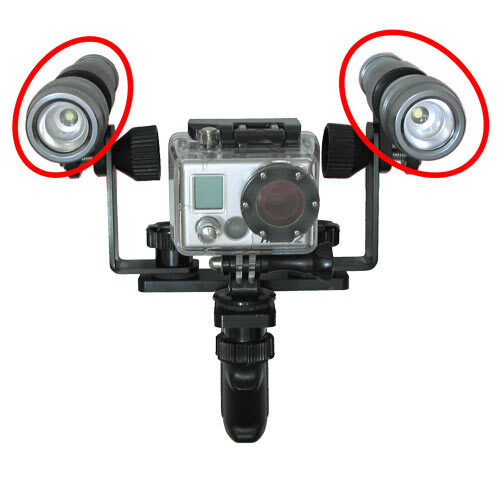 I do need to do some adjusting so that they illuminate the whole field of view of the GoPro but I should have done that before the trip. Great product, great price.